Esteemed top-tier British designer, Paul Smith has earned his place in the fashion industry as a tried and true choice when it comes to shopping high quality classic tailoring with a twist. Commended for his one-of-a-kind take on quintessentially British designs, Paul Smith’s minimalist and clean-cut approach combines tradition and modernity like no other. … But things got more interesting for the fashion conscious critters of our community when Paul Smith Junior was launched back in 2010. 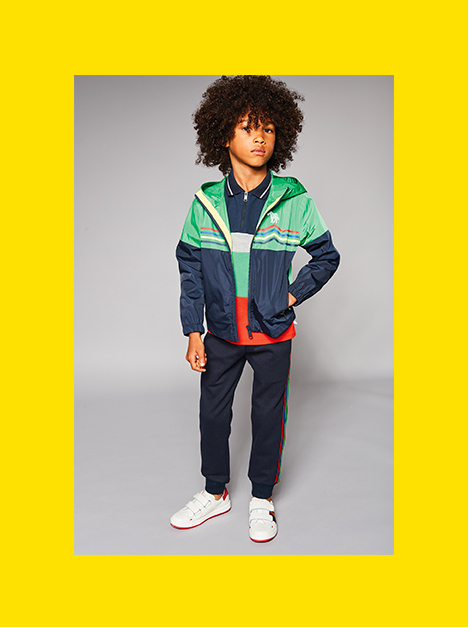 Adjacent to its grown-up counterparts, the brand’s guiding principles remain, but are, this time, presented with a recipe of colour, fun and impeccable needlecraft. 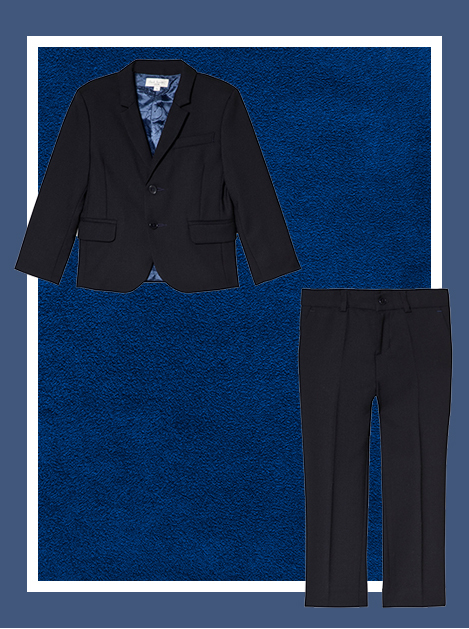 A fail-safe option you can depend upon for all kinds of occasions, this navy non-crease wool suit is so special, it’s like an heirloom to be treasured and passed down from generation to generation. Crafted from a long-lasting wool, this classic ensemble is lined with a silky-smooth fabric and looks exceptionally smart when paired with a crisp white shirt and loafers. 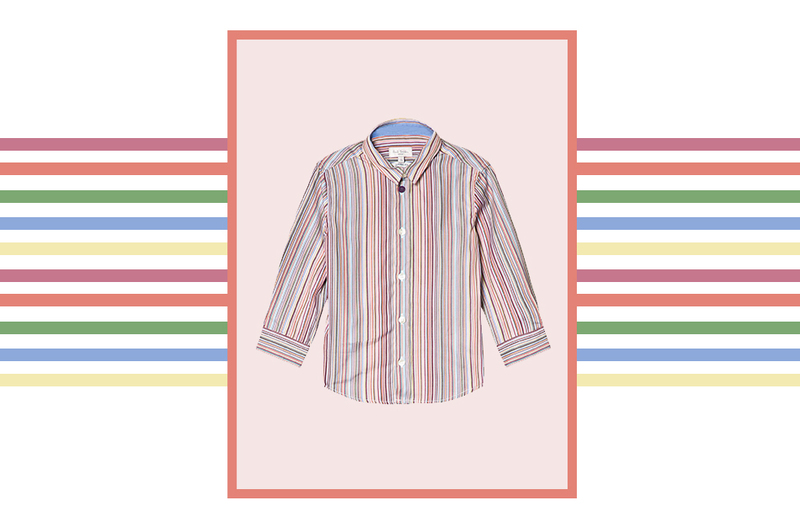 Adorned in the label’s signature multicolour stripes, this versatile design is made to honour and preserve the essence of Britain’s foremost designer. Adding a hint of fun and colour to their wardrobe staples, style it up with a pair of beige chinos and loafers for a refined yet relaxed look. 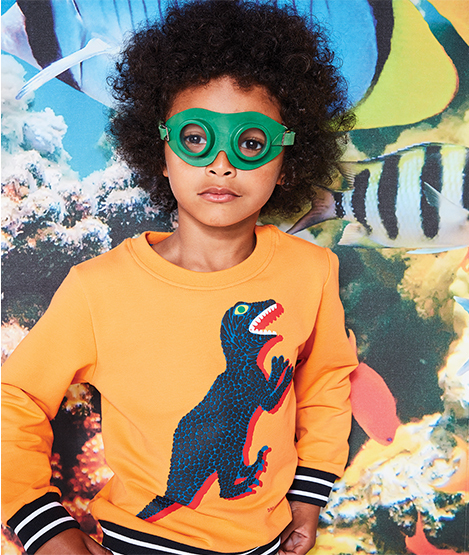 Punchy palettes are infused with fun notes of nostalgia when it comes to this white dino island print shirt. A grown-up silhouette reworked and refreshed for the coming season, this piece is staying true to the designer’s overall ethos – “The clothes allow people to express their character without overwhelming it”. 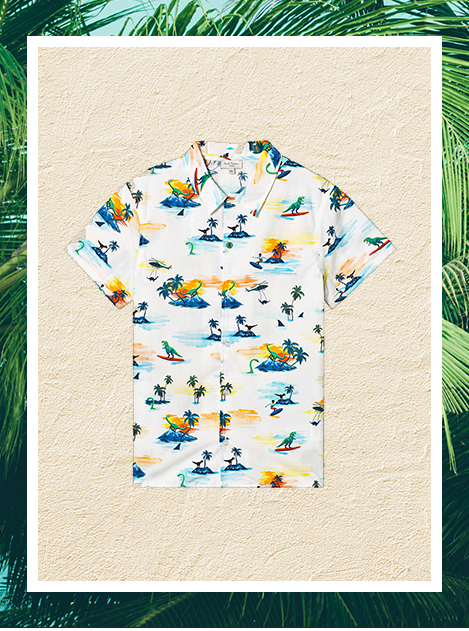 The perfect partner to a pair of cargo shorts and espadrilles, this shirt is a weekend game-changer. These innovative vibrant orange swim shorts are sure to be a hit this summer. Made to set the poolside trend, This vivid pair are also water reactive, resulting in an all-over shark print appearing once they become wet! Finished with quick-drying technology, they’re just perfect for beach days spent running wild until sundown. Channelling casual-cool with a little extra attitude, this jacket is a no-brainer to add to their new season get-up. Also designed to take on the drizzle, it’s lightweight, playful and primed to impress their buddies!